Your team were so amazing - the loveliest, most talented people! They made the day so enjoyable and easy! We all loved our hair and makeup SO MUCH and felt very beautiful. I have been highly recommending them to anyone who will listen! Thank you so much for your great service and care. Thank you for the lovely day this morning, we had a wonderful time and it was so nice to see all the girls laughing and talking and having a special time together. We all look forward to using our new skills. Thank you so much for the lesson on Saturday, I thoroughly enjoyed it. Your advice was invaluable and I walked away feeling so confident and classy. Who knew that purple lipstick and pink eyeshadow were NOT my colours!!!! I am keen to purchase the remaining products that we used on saturday and I was wondering if I could order them and have them sent out to my work address? Apart from the products, I would like to purchase a foundation brush, angle liner brush and oval eye blender brush. I was going to wait until our next lesson but I really want to practice and nail my work make up. Please let me know if this is possible and thank you again. 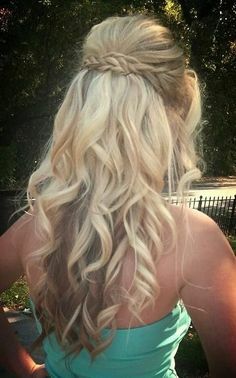 My makeup and hair were great on the day and lasted the 14 hours- my friend loved her makeup too, and in the end even my aunt wanted false lashes after she saw the great job you did! Please pass my compliments to Anna- she turned up early, worked her magic, and squeezed in my aunt and Dad (with a blowdry) without any fuss. I'll be happy to refer any of my friends to you in the future. Thank you so much for doing my and my bridesmaids hair for my wedding on Friday. We all looked fantastic, and the hairstyles lasted the whole day - even after running around the zoo for an hour and a half! I would have no hesitation in recommending you to my friends and family in future. I'm sorry it has taken this long for me to write to you but I wanted to say a huge thank you to both of you for the wonderful job you did with the Hair and Make-up for my wedding day. You were both so wonderful on the Wedding day and really a pleasure to have around during the final preparations. You both created such a relaxed atmosphere throughout the morning, and helped me to remain calm even though my nerves were at times quite overwhelming!! The Make-up on the day was fabulous and I absolutely loved my hair and I felt so glamorous throughout the night! You both did such a great job, with not only my hair and make-up, but also that of the Bridesmaids. We had so many compliments throughout the day about how beautiful we all looked and with your help the photographs are absolutely stunning! Thank you again for making us all feel gorgeous throughout the day! Sorry this has taken me so long to get back to you but I have attached some photos of my Weddding Day - hopefully they show off the amazing job that you and Julie did. I had so many compliments and felt a like an old school hollywood glamour all day!! I have unashamedly told all my friends and family that the finished product was all thanks to the two of you - and of course shared your details should anyone wish to contact you (hope that's ok). You both really took care of me on the day and I will be forever grateful to you both for that. "I haven't stopped thinking about colour and how that reflects my inner image since I left you. Can't wait to have the haircut. I will definitely call in to show you. Once again, thank you for the inspiration and change of old mind set about myself, not only the aesthetic but on a deeper level as well. You certainly have been a wonderful gift to me"
The Image and Presentation session is absolutely great and helpful. Petrina has taught us many hair styles and tricks to look professional and up to standard every day. I personally really enjoyed this class and I am going to take home lots from today. I would like to thank Petrina for her patience, professionalism and for being so nice to all of us. Grooming day was overall fantastic. It was a great day, I learnt so much from the instructions and you could tell Petrina really knew what she was talking about. What an amazing day! Finally found a way to do my hair in the mornings before work that quick and easy, and also looks amazing. I’ve had my makeup done many times before but now I’ve learnt a few things about applying eyes shadow and different products to use that i’ll carry al through life. Petrina and her assistant have been amazing, I’ve never had a grooming day before and have learnt so much. They are very patient and explain everything so well. I really appreciate all the help. This is a long overdue note to say thank you for sharing your Saturday afternoon with us. Your patience, eye for colour, creativity and true artistic talent was so much fun to be around. Your peaceful attitude to make-up really took the fear out of my morning. What a talent you have! Thank you. I'm so excited that you are available to do our wedding hair and makeup. I'd just started thinking about makeup artists and my sister & I were chatting about which of our friend's bridal hair & makeup looked the most amazing.So we asked them who they had for their weddings. Amazingly, all 3 girls had you & your team! I just wanted to thank you so much for all your wonderful help on Saturday for our wedding. It was just so lovely having you both around - you made everyone feel very comfortable and relaxed and our make up and hair was perfect and very 'us'. It was beautiful! We had a fantastic day. There are also two little girls who are very inspired to take up new careers!! Thanks again, will send you some photos when they arrive. Hope you are well. Apologies for the very very late thank you note for the wonderful makeup you did for my wedding. Both yourself and Julie did such a fantastic job on the bridal party, mums and grandma's. Everyone was commenting on how great we looked. Please pass on my thanks to Julie. The day went pretty much to plan, and it went so quick! I am glad the stress of wedding planning is over though. Thanks again for being part of my special day, you both really made the morning enjoyable and relaxing. Please add me to your Newsletter, as Jo and I would like to do one of your make up courses sometime this year. Take care, and thanks again Petrina! I had a wonderful time yesterday, the family loved the look. Thank you! I love it - I was grease free for the remainder of the day. The colour is really lovely too. And my lips, WOW talk about stayability - the colour lasted from 1.30pm until after dinner. "I did really enjoy the make-over. As I only have about 15 minutes to get dressed and out the door - I really love the cheek stain and mascara, and do wear them every day. You explained the techniques really well, and it wasn't hard for me to do. Really worthwhile experience. I also really like the lipsticks." "I am pleased with the look. It looks much more natural and dewy. That foundation and brush is fantastic though. So much better than anything I was using before. I always felt it looked as if my skin was flaking off, so this is much, much better. I am a tricky one. Complex personality, complex skin and colour range. You did great work Petrina. Thanks again." Such a wonderful grooming day. All information was very relevant to our job. The demonstration was interesting and made the hair styles look easy and effortless. All the products used really helped create the styles. Thank you so much for all your help leading up to the wedding, and especially on the day. We are all so please with the results- especially mum. Your enthusiasm and practicallity made the preparations in the morning stress-free. I'l be in touch in the New Year - I'm addicted to the Jan Marini C-Esta serum! I just wanted to say thank you so much for all your efforts in glamming us up for my big day. Your great knack of knowing what would 'work' for all of us lead to a very happy group of women...everyone was over the moon and felt like a million dollars. I also jsut wanted to point out how much your calm, relaxed demeanour helped keep the morning just that - calm and relaxed. It made all the difference for me as I was exhausted by the time I got there and I had a ball the whole day. Thank you so much for your calm, professional help in getting me and all the lovely women in my life ready for my wedding. I felt like a princess - a very relaxed one! Thank you for the gorgeous work, the great music! Thank you so much for your amazing skill, magic touch, warm and calm manner and professionalism. I have no hesitation in recommending you when someone asks for a hair and makeup artist on the North Shore of Sydney. Thank you for the wonderful makeup you did on my wedding day. My mother, bridesmaids and I were so very pleased and appreciative. We all felt very glamorous with the Petrina touch. On the day you were so calm and serene and focused - just what we needed in the midst of all the activity and nerves. Thank you so much for all your hard work making me, my bridesmaids and the mums look absolutely beautiful on my wedding day! You had so many of us to get ready but you managed it professionally and with amazing skill. I couldn't have been happier with how my hair and makeup has turned out in the photos. Just beautiful! Thanks so much! I thought I would like to give you some feedback after using my products now for a few weeks along with all the knowledge I gained from my make up/hair class. After confirming with you the 'soft' style I believed I suited most I reorganised my wardrobe throwing out major errors in my clothes and accessories. I then turned on my makeup collection and culled all the products which were not suitable for me. I instantly felt a relief just knowing that I finally was organising myself to a place where I would increase my level of confidence and make life easier by having a better understanding of my style and what colours suited me. I did shop for a few 'soft' tops in the right colours which gave me a starting point to build on. With my new knowledge I reorganised my existing wardrobe and took time to put outfits together which would suit me. I can say the change has been amazing. I feel so much better each day knowing I'm wearing clothes and makeup which enhances my personality and gives me a peace about myself. I am loving the foundation colour (may need a little darker in summer), eyeshadows, blush and lip gloss. I also love the skin care products I purchased. I just wanted to thank you for the lessons and let you know how much they have helped me. I look forward to coming back for ongoing purchases and classes. A massive thank you for all your amazing work at our wedding! The girls and mum looked absolutely stunning! I felt extra special with the beautiful hair and makeup you did for me. I keep looking back at photos thinking it couldn’t have been more perfect. You did an incredible job, it was exactly what I’d hoped for. Sign up to receive beauty updates and special offers. Get updates on workshops and pro tips and tricks!